Whoa horsey! Before you think I've started an entirely new hobby -- spinning -- I'll stop you there. 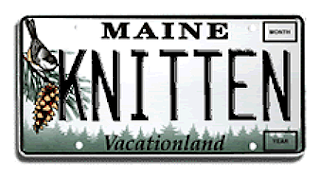 😂 Thankfully, there are plenty of hand spinners out there who have made their craft available for us lowly followers to purchase, and let me tell you -- Maine is the perfect place to find it. 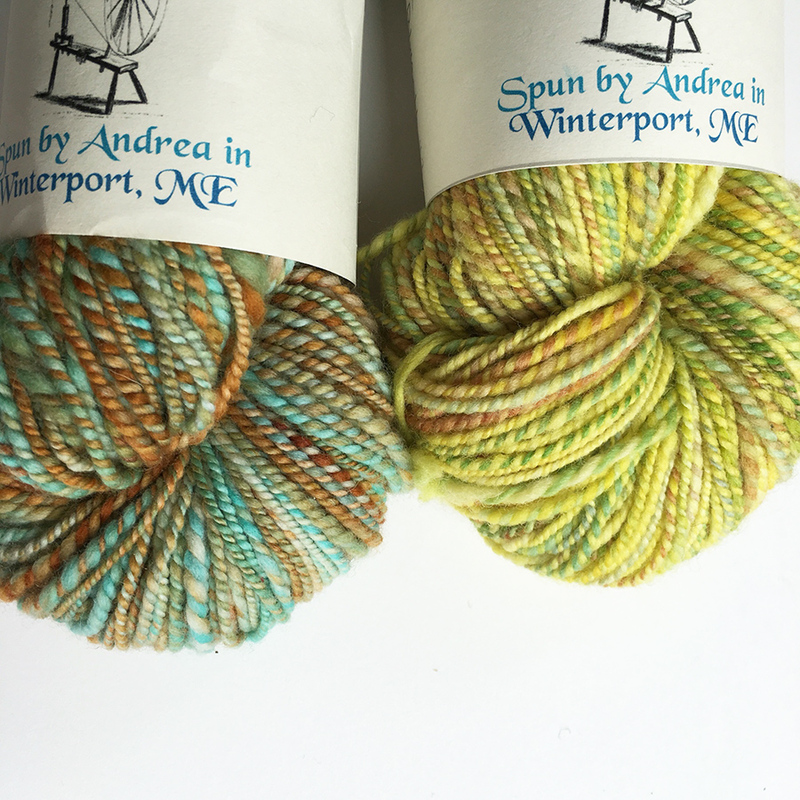 Just look at these two skeins I scored at my favorite source for Maine yarn (in my favorite town of all, too): Heavenly Socks Yarn in Belfast! You'd be a fool not to sign up for their newsletter, it's famous. What I love about this is that it isn't a brand -- it's just a "hey, I spun this!" from Andrea. I don't even know Andrea's last name, though I'm hoping she'll find us, or some typical Maine thing will happen where Andrea's sister or cat will come by and leave a comment. Don't you just love hand-written labels?? What could I make? 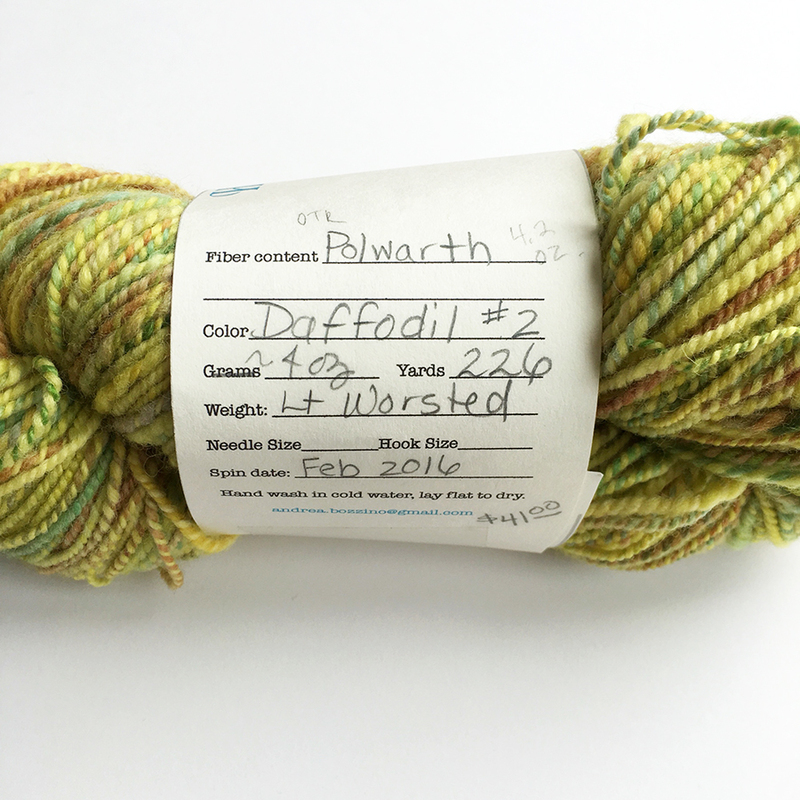 As with all handspun you find -- there's usually only 1 skein of 1 colorway; there was no getting more. 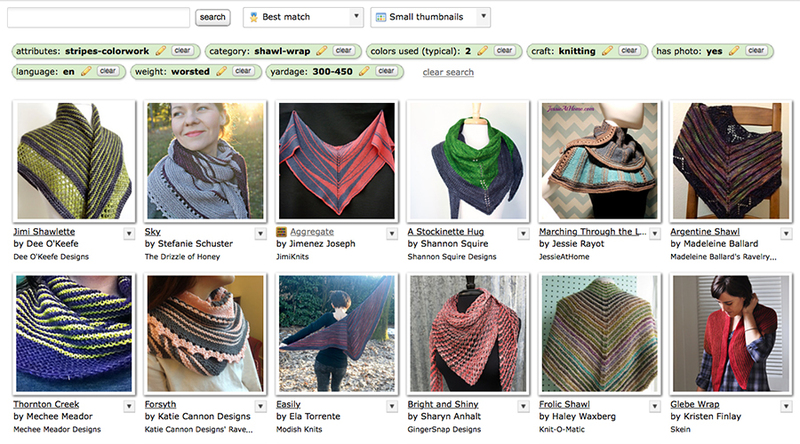 So I consulted the trusty Ravelry Advanced Search engine, and narrowed down 668,443 patterns to 23! How on earth did I do that? You might be curious, so I'll show you. 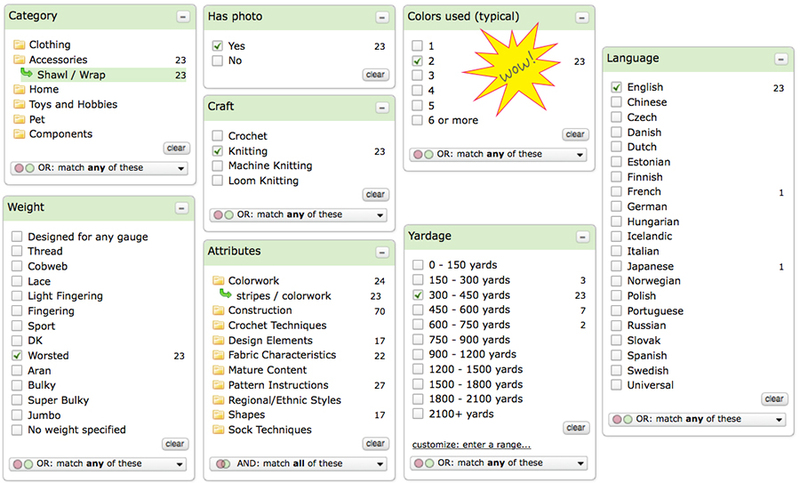 Note the "Colors used (typical)" search box which is my new best friend. OMG, revolutionary. 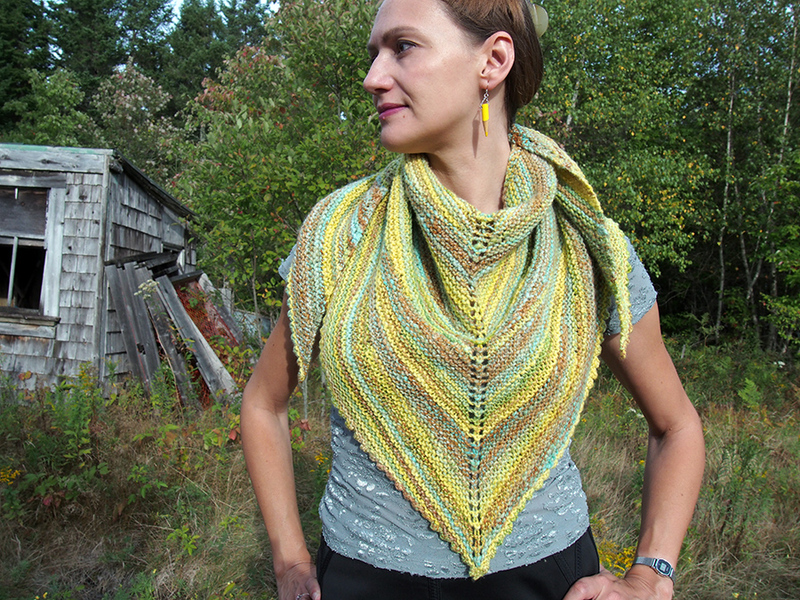 The Aggregate Shawl by JimiKnits came up 3rd and I LOVED it. 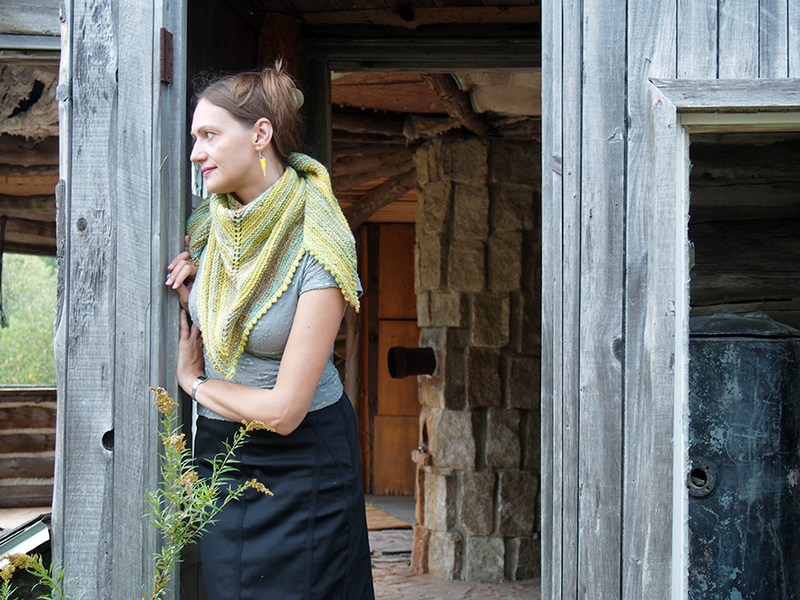 Reason #1: It was going to be more fun than all the other options because of the short rows. 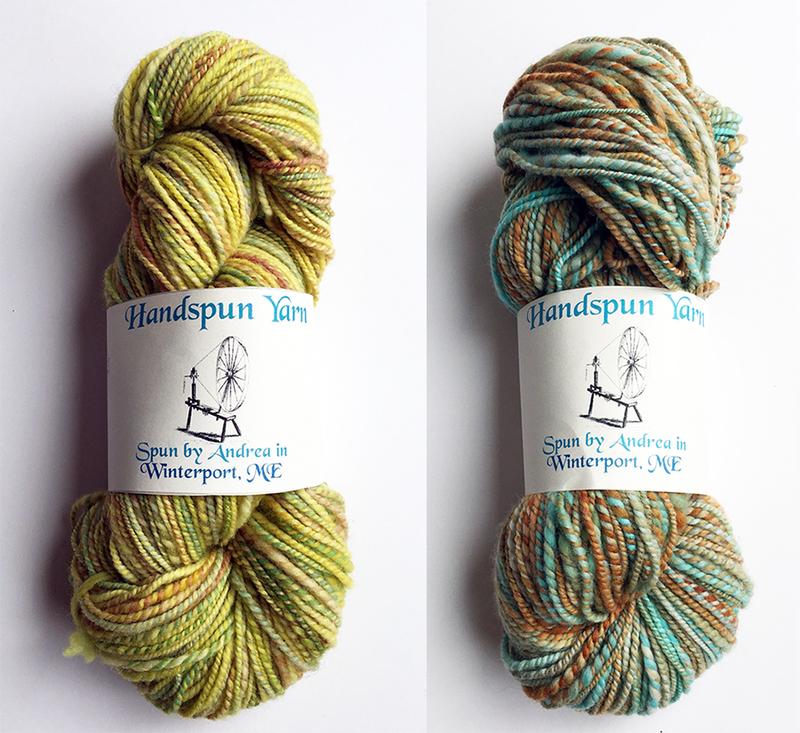 Second, I was curious to see whether you'd be able to see the subtle differences between the 2 handspun yarns, which had very little contrast. But it definitely worked! 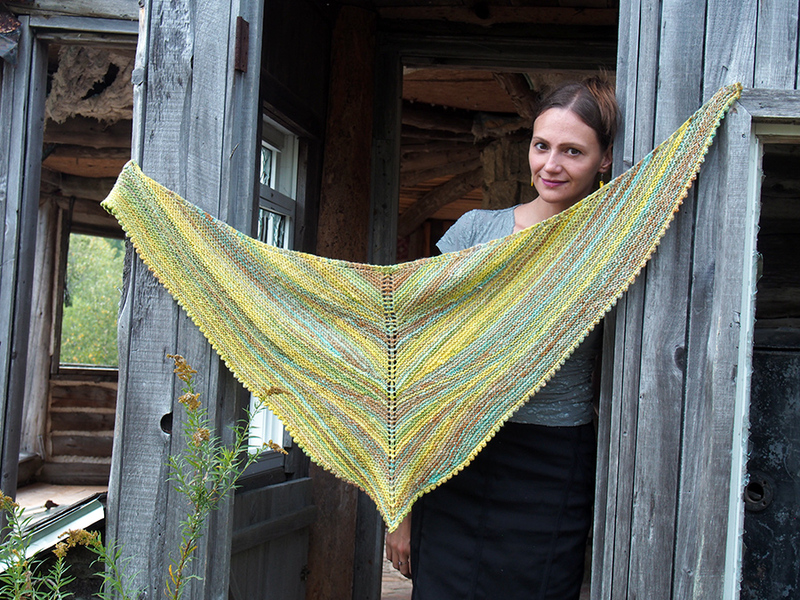 I can see the 2 yarns surprisingly well! Lest you be daunted by the major short rowing here, do not be. 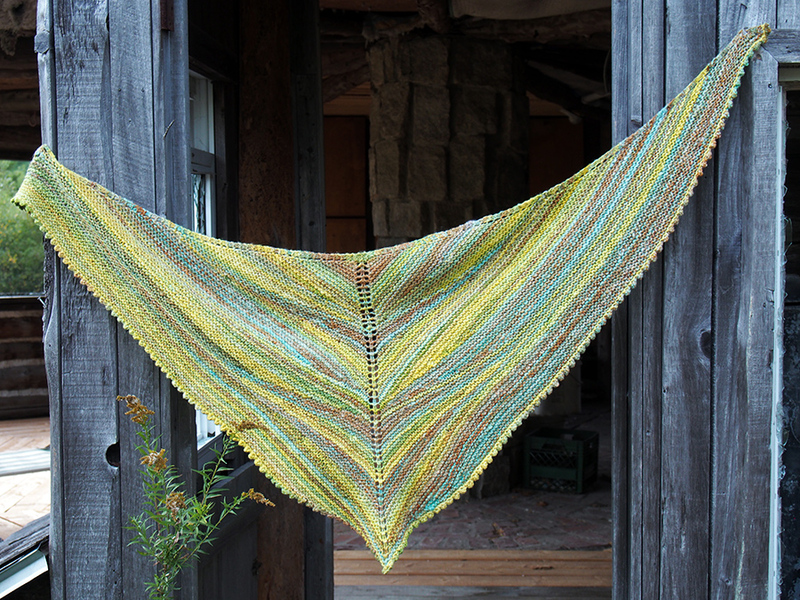 I found this pattern to be right along the lines of other garter stitch short row shawls (wraps never showing!) -- just follow the instructions and you will be fine. It's fun to do and will keep you addicted to the very end. Now. 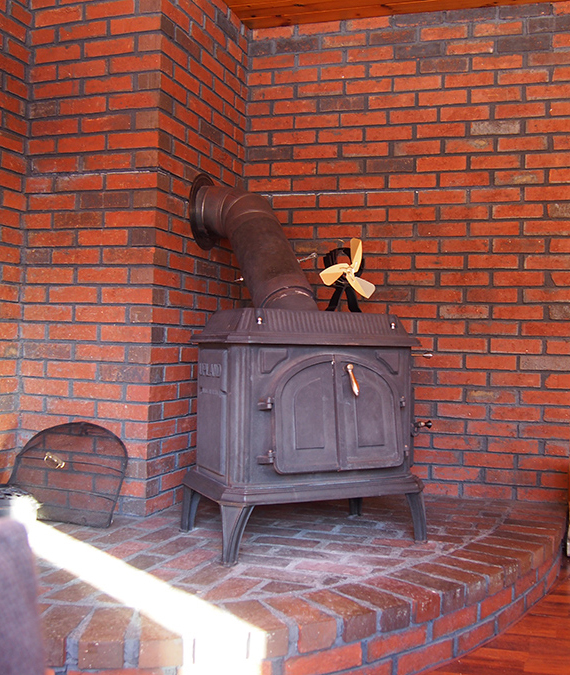 You might be thinking that Maine is an incredibly mild place in the winter with trees that no longer lose their leaves, heh heh, but these pictures were taken in the autumn, because I'm waaaaay behind on showing you my FOs. It really looked like THIS last week! Through a winter with no snow to speak of, we suddenly got 4 FEET IN ONE WEEK!! 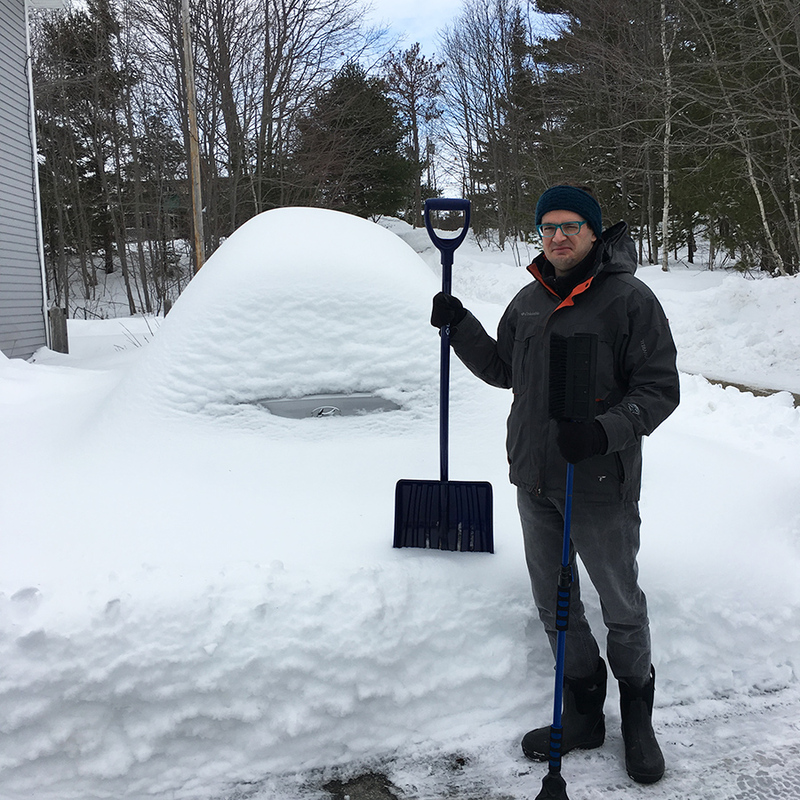 Naturally, my husband was away for this entire time, leaving me to shovel what I could. 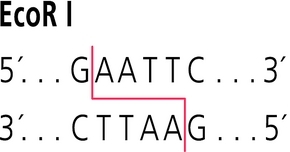 For those of you curious about the license plate, it's the DNA sequence of a "restriction enzyme" which is used regularly by scientists in genetic engineering. 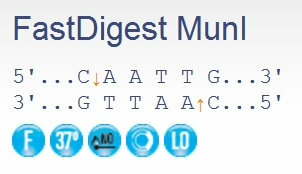 He wants me to get the sequence of the sister enzyme, Mun I, which cuts to make "compatible ends", hee hee. I am more inclined to get this one! Speaking of kittens... Tiger Shrimp is a camera hog and is making an appearance in almost every Instagram post. Nuisance, yes. 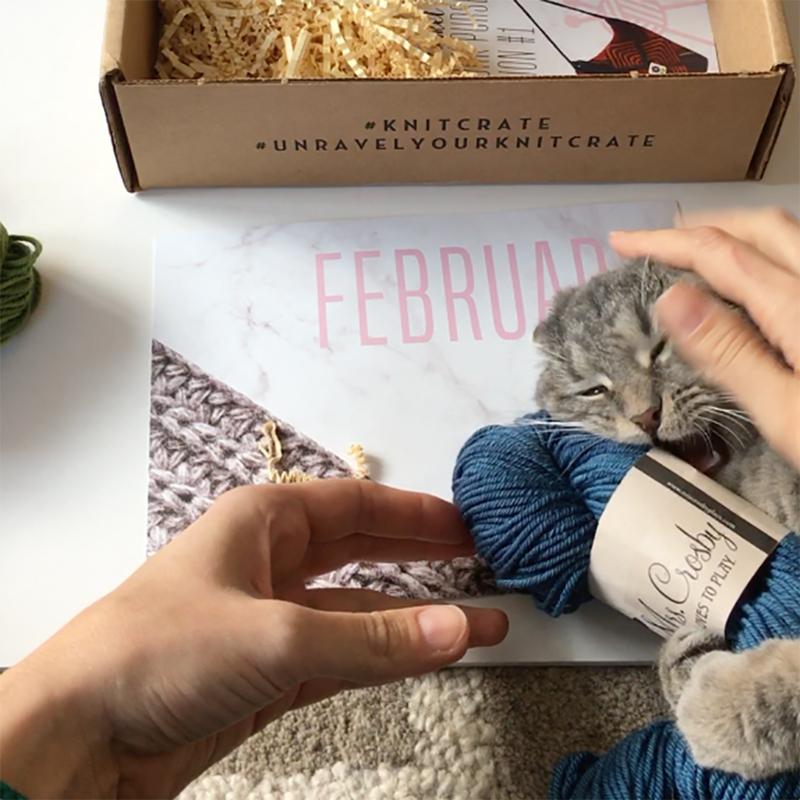 But this video of me unboxing my February KnitCrate will definitely make you smile! 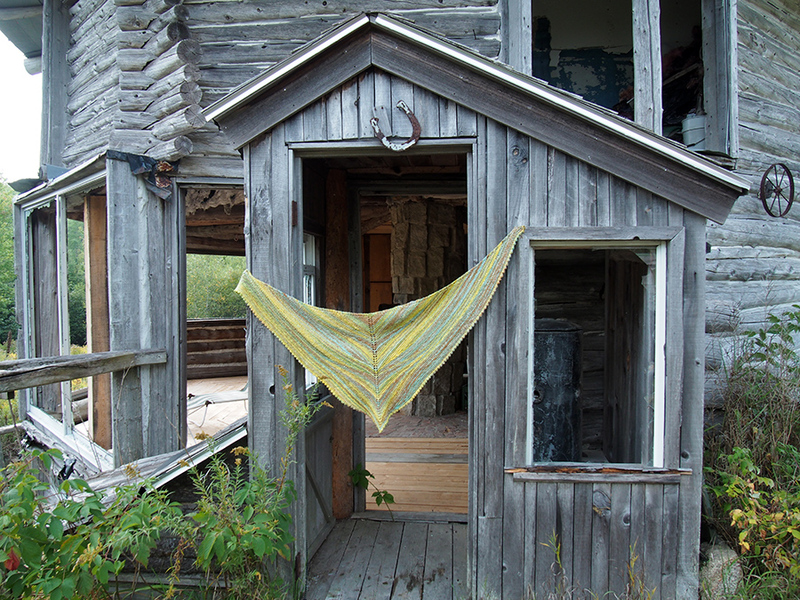 FYI, that was my first regular KnitCrate, and it was absolutely worth the cost, in my opinion. 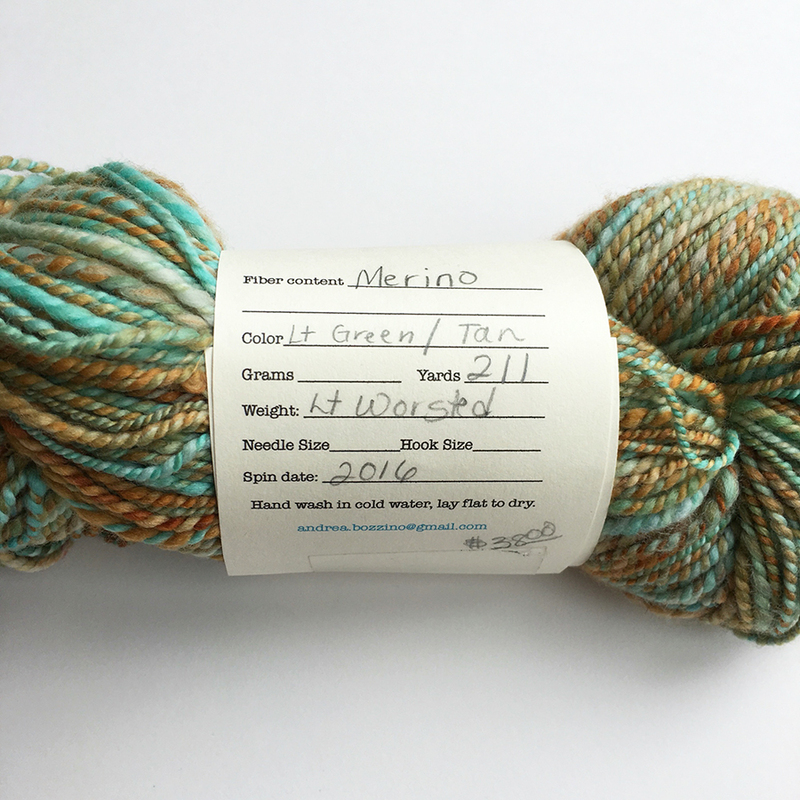 It had (3) 164yd skeins of Mrs. Crosby Loves to Play: Steamer Trunk, a 100% merino worsted yarn. There was a pattern for 2 purses and a lavender bath bomb. 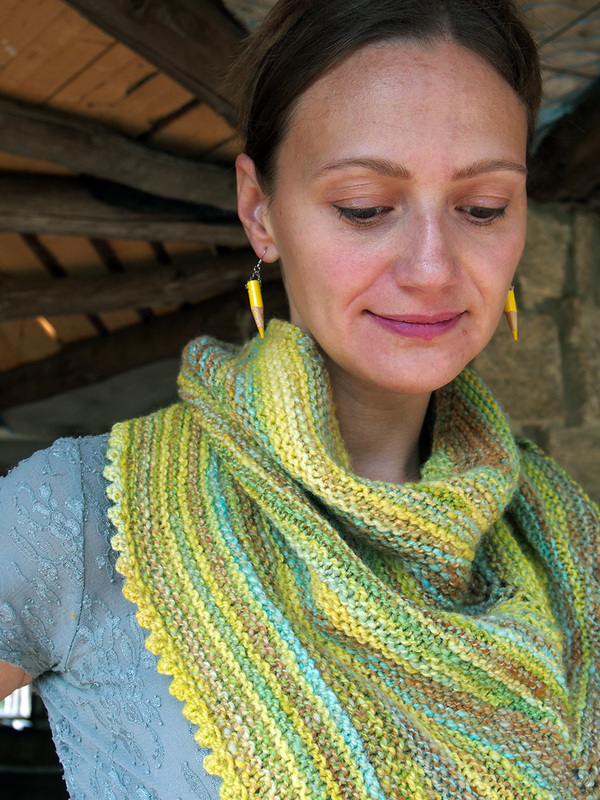 If you want to try a KnitCrate, you can get 20% off your first one with code "DK20" here. 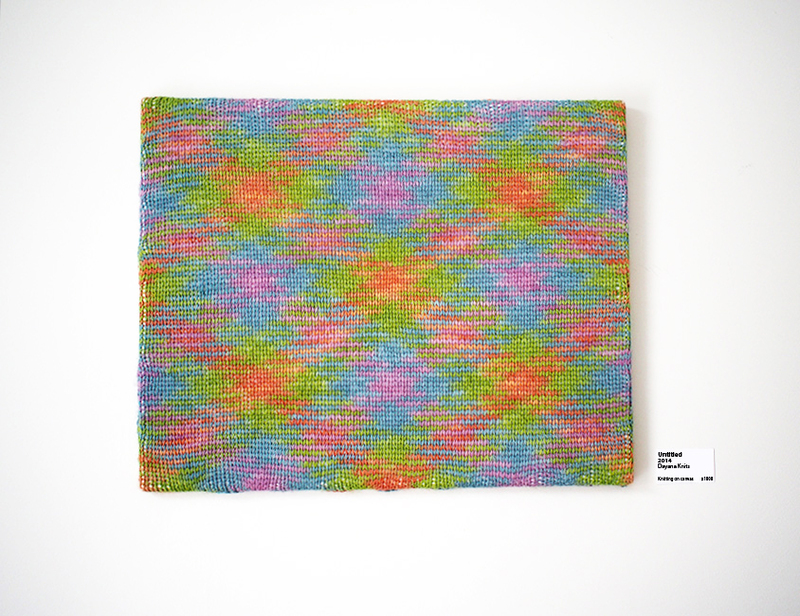 Below is the the rather breathtaking that was in the "Sock" Knitcrate. 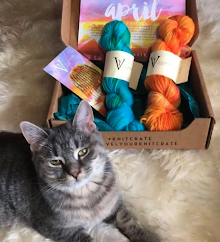 I'm only getting one of those because I rarely knit socks, but the Mrs. Crosby Loves to Play: Train Case is truly beautiful, and the pattern was better than in the regular KnitCrate. Consider it, because you'll have a lot of fun making it. 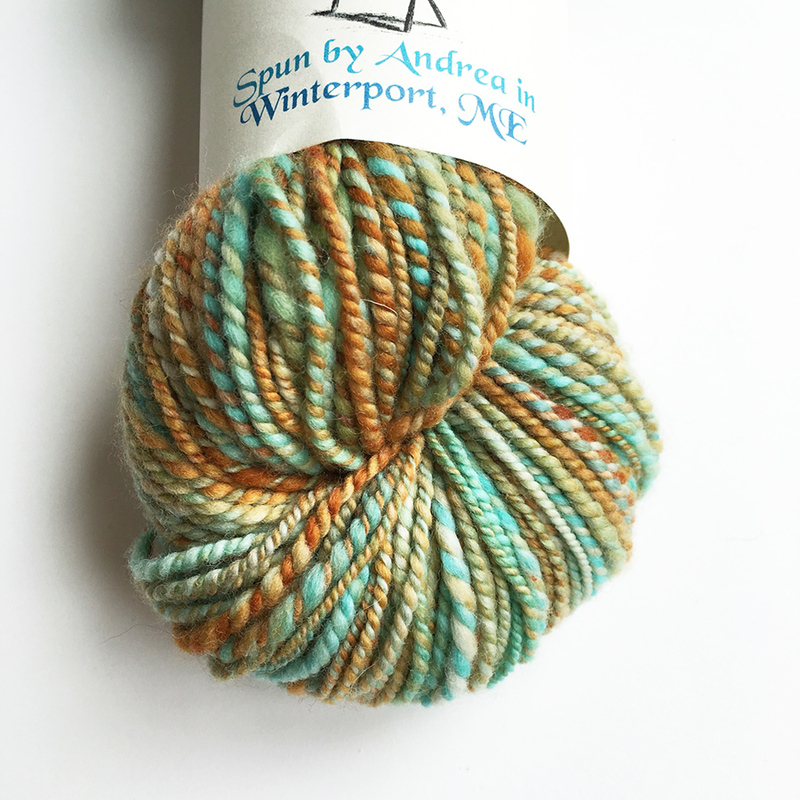 And if it's in handspun, it will be squishily delicious, I guarantee it. I am fond of your kitten. Btw: Didn’t you see Andrea’s last name on her label? 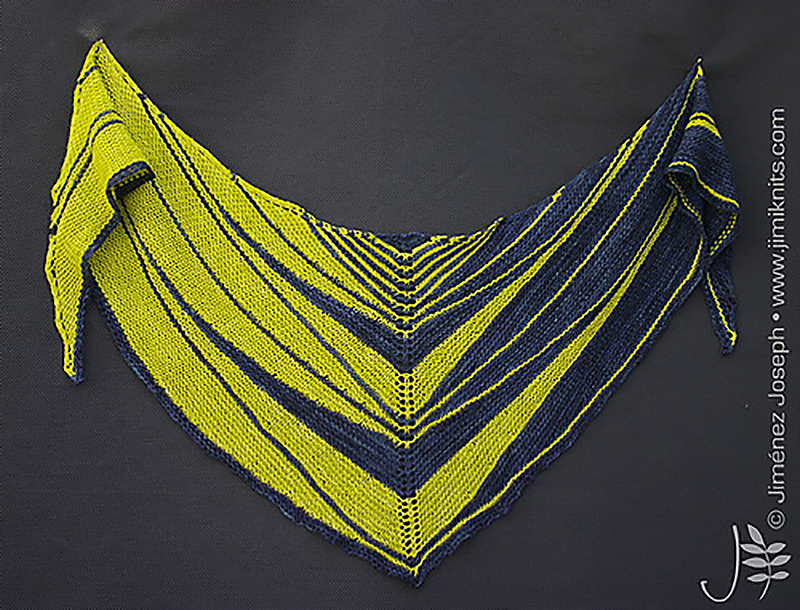 I really like how your shawl came out, although yellow is not my color. :) I also don't think I commented elsewhere that I have been enjoying your live videos, especially the Knit Crate opening. 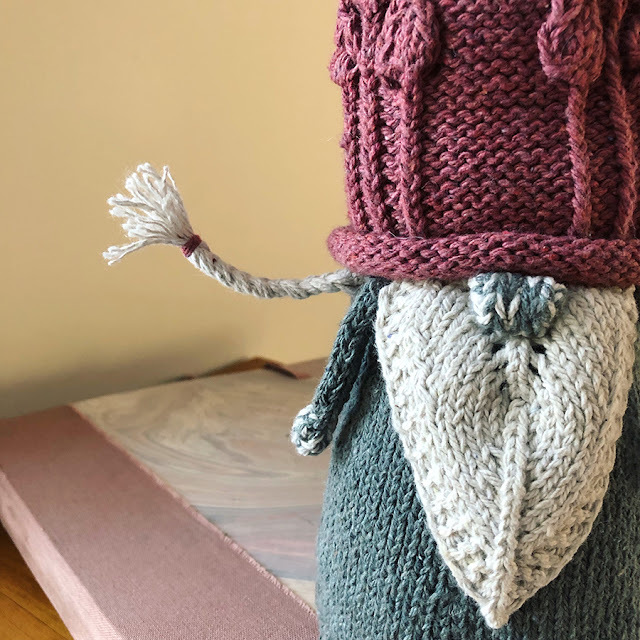 Always love your daily knitspiration posts on FB. Have a great week Dayana! --Rita Z.
Rita I'm so glad you like the Live videos. I'm really hoping to do more -- but I am waiting for a piece that will let me easily use my tripod in the RIGHT direction, lol! Love the license plate, ARRRR! I got those earrings in a fab little shop in Bangor, ME. 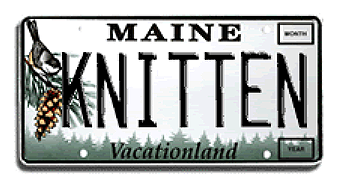 1/2 is only Maine sourced yarn, 1/2 is gifts and things of interest. If you're ever up here it's called One Lupine. 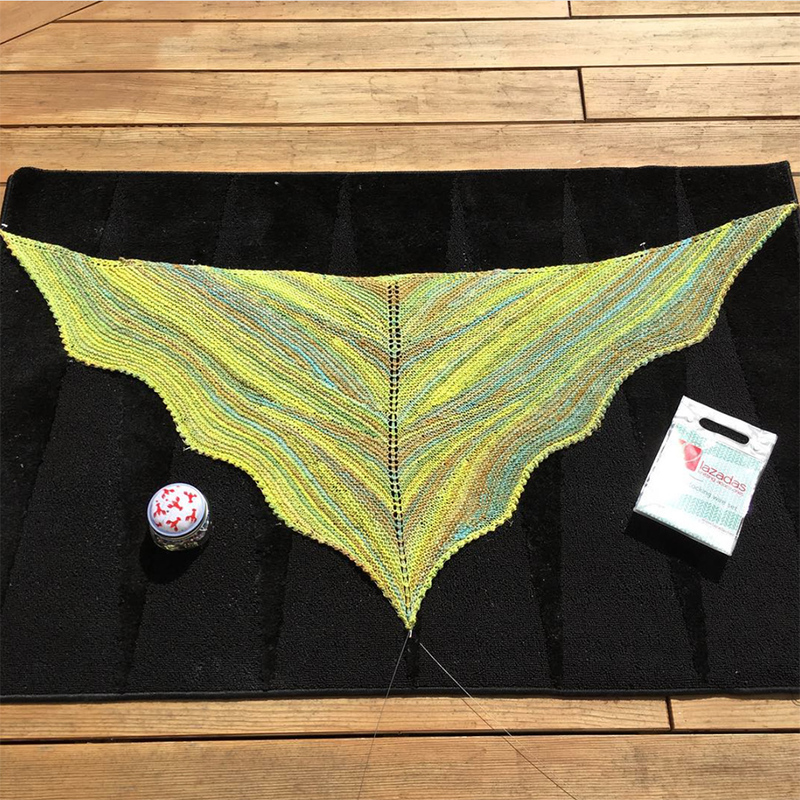 When you posted last Friday I was prowling the market at Stitches West - didn't even think to check for a new Dayana post until now! 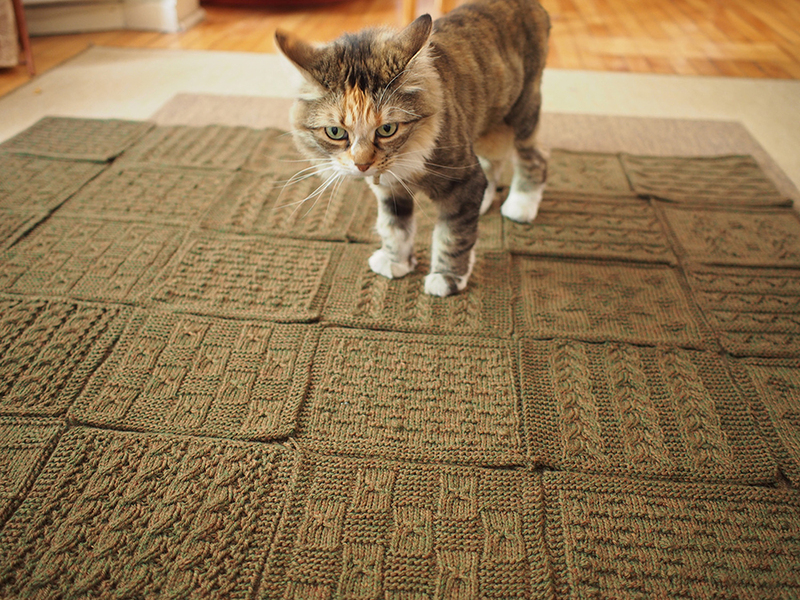 GREAT shawl and kitty pix. Thanks! whoops, you *didn't* post on Friday, but the following Monday. Never mind, I'm just dazed and confused . . . I love your blog! I have learned so much from it! I'm a scientist too so I love the science references especially the EcoRI license plate. Thanks again and I look forward to your future posts! Oh excellent, I'm glad to be of help!